In 1953, in the Gaspé forest, there are three bodies half eaten by bears. Fearing repercussions on tourism and investment, Prime minister Maurice Duplessis decided to make an example accusing Wilbert Coffin. 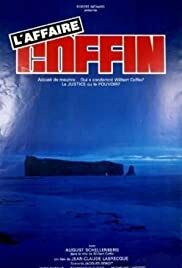 True story of the last man sentenced to death in Quebec in the 1950's who may or may not have committed a multiple homicide. Documentarian filmmaker and cameraman Claude Labrecque shot this as a scathing endictment of capital punishment. Gabriel Arcand is superb as the young advocate appointed to the no-win case for political reasons. August Schellengerg (later seen in Black Robe) as Coffin brings ambiguity and feeling to the poor condemned man.